Norwegian Prog Rockers JORDSJØ are back with “Nattfiolen”, an album filled with acoustic guitars, flutes, tape echo, analogue synths and Hammond organ. Warm and dreamy, “Nattfiolen” reflects the band’s longing for a simpler life close to nature, and an imaginary past where life is centered around music. 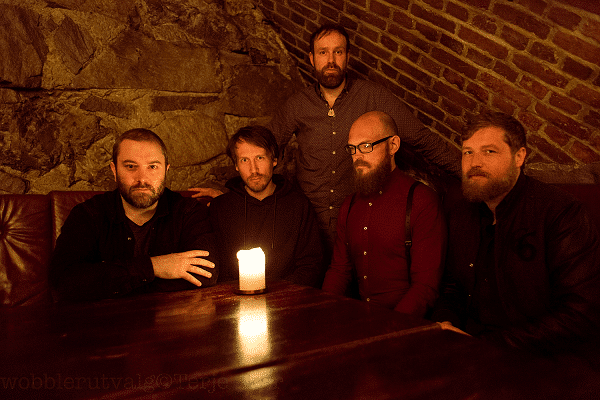 Led by multi-instrumentalist Håkon Oftung (ex-Tusmørke), JORDSJØ was formed in Oslo in 2014, and is a band that draws its inspiration from old horror movies, German 70s Synth music, Swedish Prog, fantasy novels and Norwegian nature. So much so, in fact, that when, just over a year ago, JORDSJØ first spoke about “Nattfiolen”, they referred to it as “a kind of Intermezzo that will explore more deeply the mysticism that surrounds the forest”. “Nattfiolen” is the follow-up to 2018’s critically acclaimed debut “Jord”. Recorded and mixed in JORDSJØ’s own studio, “Nattfiolen” is mastered by Jacob Holm-Lupo (White Willow, The Opium Cartel, etc.) at the Dude Ranch Studio. With its May 3 release date a little under a month away, Karisma Records have released a second single from BJORN RIIS’ upcoming third full-length album “A Storm Is Coming”. Stormwatch originated as a completely different song but after countless rewrites, it turned into a 15 minute piece that in many ways sums up the theme of the new album, “A Storm is Coming”. The lyrics are a dialogue between two individuals, describing the violent tension and frustration in a relationship. As the song progresses, the storm unfolds. I’m very proud of how it turned out. There are a lot of musical references throughout that are sort of a homage to my influences and it was great fun working with both Henrik Bergan Fossum (drums) and Mimi Tamba (vocals). They both delivered outstanding performances. With “A Storm Is Coming”, Riis, also known for his work as the co-founder, songwriter and lead guitarist of Norwegian Prog Rockers AIRBAG, has managed to combine the art of rock, prog and atmospheric pop, to produce a prog rock album laden with atmosphere, and which is both heavier, but at the same time more tender, than his previous releases. With its themes of human relationships and loss, “A Storm Is Coming” is written as a dialogue between two people. Formed of six epic songs and clocking in at 51 minutes, the album was recorded at the Subsonic Society in Oslo, mixed by long-time collaborator Vegard Kleftås Sleipnes, and mastered by Jacob Holm-Lupo (WHITE WILLOW, THE OPIUM CARTEL). In addition to Bjørn Riis on vocals, guitars and a wide variety of instruments, the album features performances by Henrik Bergan Fossum (AIRBAG) on drums, Simen Valldal Johannessen (OAK) on keys, Ole Michael Bjørndal on guitar, Kristian Hultgren (WOBBLER) on bass, and Mimmi Tamba on guest vocals. 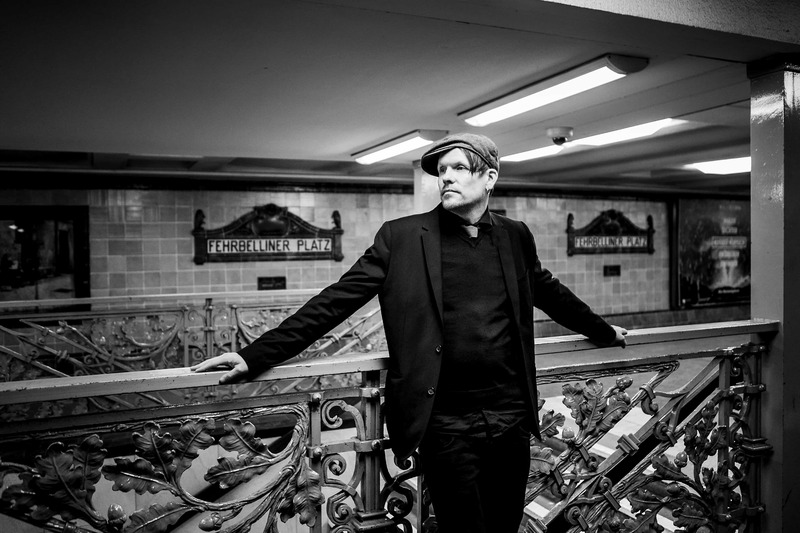 BJORN RIIS’ next live appearance will be on the 17 May at the three-day Terra Incognita Festival in Quebec, Canada, where fellow Karisma Records label-mates AIRBAG and OAK are also scheduled to perform. In September he is also set to appear at the 2 Days Prog + 1 Festival in Veruno, Italy. 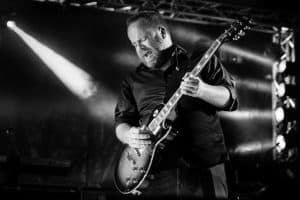 More information about BJØRN RIIS can be found on the guitarist’s Facebook page at https://www.facebook.com/BjornRiisMusician/ and on his website at http://www.bjornriis.com. With a calendar filled with sold-out shows in Europe and North America, Leprous is quickly becoming one of the lead acts of the Norwegian prog scene. 2017 saw the release of their 5th studio album “Malina” to critical and public acclaim. Since then the band has been touring non-stop, filling venues in North and South-America, Europe and Asia. After a 4 year absence, Leprous is finally back in Bergen, headlining the Friday at Close to the Rain. Fresh back from the floating Caribbean festival Cruise To The Edge, AIRBAG returns to Bergen. This time with an exclusive set marking the 10 year anniversary of their debut album “Identity”. On CTTR the band will perform the album in its entirety. Following the release of their second album “False Memory Archive”, OAK has taken a big leap towards the front of the Norwegian prog scene. In addition to being booked to Close to the Rain, the band is scheduled to play Night of the Prog 2019, one of the biggest genre festivals in the world. With a sound that can draw references to acts such as Talk Talk, Pink Floyd and Steven Wilson, and boasting members of the Airbag and Bjørn Riis live bands, Oak is definitely one to watch! …have since their formation in 1998 become an institution in the Norwegian prog-rock scene. Due out with their seventh album “”Summarisk Suite” on the 3rd of May, the band describes their music as “Progressive Rock with a friendly face”, reminiscent of inspirational precursors such as Samla Mammas Manna, King Crimson, Henry Cow, Univers Zero and Frank Zappa, while at the same time sounding unmistakably… Panzerpappa! …is a new band from Norway, continuously busy discovering their unique kinds of brew, mixing elements of rock, jazz, psychedelic, progressive etc. Founded in 2015, the band just released the debut album “The Key” (2019) on Apollon Records Prog to great reviews. 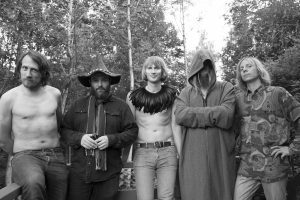 …is a Norwegian progressive rock band formed in 2001 in the outskirts of Oslo. Musically the band can best be described as symphonic neo prog, influenced by several bands from the golden years of the seventies, such as Genesis, Pink Floyd, Camel and others. The debut album “To be continued …” was released May 2010, and the followed up by “The Continuation” in 2013 to great reviews around the world. 5 years later, 2018 saw the birth of “Tribus” to great acclaim from fans and critics. In addition to seeing The Windmill at this years Close to the Rain, they can be seen at Summers End, the UKs longest running prog-festival. Close to the Rain, Bergen Prog Festival, er tilbake i tredje utgave, og for første gang på Bergens storstue USF Verftet. Totalt vil 8 band fylle programmet som går over to dager, og vi er stolt av å kunne presentere gigantene Leprous og Airbag som to av årets hovedattraksjoner. Med en kalender fylt av utsolgte konserter i både Europa, Asia, Sør- og Nord-Amerika har Leprous blitt et godt kjent navn i alle kriker og kroker, og er et av Norges største og mest aktuelle progband om dagen. I 2017 kom studioalbumet «Malina», som har skutt dem til værs og med høye terningkast og fulle hus verden over. 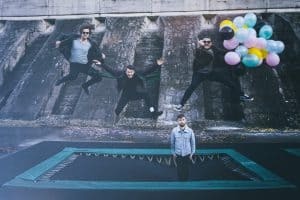 Etter en omfattende turne i Sør-Amerika returnerer bandet til Bergen for første gang på 4 år, hvor de headliner fredagen på Close to the Rain. I etterkant av slippet av OAKs andre album, «False Memory Archive», har bandet tatt et svvmilssteg mot fronten av den norske progrockscenen. Utover å være booket til årets Close to the Rain, kan bandet ses på årets Night of the Prog festival i Tyskland, en av verdens største festivaler i sjangeren. Bandet har et uttrykk som kan beskrives med referanser til band som Talk Talk, Pink Floyd and Steven Wilson, og med medlemmer av livebandet til Airbag og Bjørn Riis, er definitivt Oak et orkester å få øynene opp for. …har siden oppstarten i 1998 blitt en institusjon i den Norske progrockscenen. Bandet er aktuelle med «Summarisk Suite» som slippes 3 mai, og kan beskrives musikalsk som progressiv rock med et vennlig ansikt. Utover å låte genuint kan en finne linker til inspirasjonskilder som Samla Mammas Manna, King Crimson, Henry Cow, Univers Zero og Frank Zappa i bandets musikk. …er et nytt band fra Norge. Bandet mikser elementer fra rock, jazz, psykedelia og prog og ble grunnlagt i 2015. Debutplaten «The Key» ble sluppet på Apollon Records Prog i 2019, og har mottatt strålende kritikker. …ble grunnlagt i 2001 i utkanten av Oslo. Musikalsk kan bandet beskrives som symfonisk neo-prog, inspirert av band fra det gylne 70-tallet som Genesis, Pink Floyd og Camel. Debuten “To be continued…” ble sluppet I 2010 og fulgt opp av «The Continuation» i 2013. Fem år senere slapp bandet “Tribus” til strålende mottakelse fra kritikere og fans. I tillegg til å se The Windmill på årets Close to the Rain er de booket på Summers End, den lengstlevende festivalen for progressiv rock i Storbritannia. Fans of Atmospheric Prog Rock will have something to look forward to on the 3rd of May, because that’s the date that Karisma Records will release “A Storm is Coming”, the latest album from BJORN RIIS, also known as the co-founder, songwriter and lead guitarist of Norwegian Prog Rockers AIRBAG. “Icarus” is based on a chord progression that I had lying around, and which seemed to fit the more stripped down, rock production that I had in mind for the new album. The title refers to the old Greek tale about Icarus flying too close to the sun and getting burned. This hubris is translated to a relationship between two people where one is constantly being burned for trying too much. A follow up to 2017’s critically acclaimed “Coming Home” MLP, “A Storm is Coming” will be the third full-length album from Riis, and promises to be heavier, but at the same time more tender, than his previous releases. It is formed of six epic songs, clocking in at 51 minutes, and is built around the central themes of human relations and loss, written as a dialogue between two people. Recorded at the Subsonic Society in Oslo, and majestically combining the art of rock, prog and atmospheric pop, “A Storm is Coming” was mixed by long-time collaborator Vegard Kleftås Sleipnes, and mastered by Jacob Holm-Lupo (WHITE WILLOW, THE OPIUM CARTEL). In addition to Bjørn Riis on vocals, guitars and a wide variety of instruments, the album features performances by Henrik Bergan Fossum (AIRBAG) on drums, Simen Valldal Johannessen (OAK) on keys, Ole Michael Bjørndal on guitar, and Mimmi Tamba on guest vocals. With just over two weeks to go to the 22nd February release of “October After All”, the third full-length album from singer, songwriter, multi-instrumentalist and producer RHYS MARSH, Karisma Records have today released a track from the album. “October After All” once again sees RHYS handling most of the instrumental and vocal duties, but the album also features contributions from Anders Bjermeland, Tale Vang Ellefsen, Kåre Kolve, Roar Øien and Arve Henriksen, as well as vocals from the likes of, Silje Leirvik, Anders Bjermeland, Rohey Taalah, Ole Kristian Malmedal, Vilde Aakre Lie, Tale Vang Ellefsen, Arve Henriksen and Tim Bowness. I try to approach every album from a different angle, to give it its own identity. When I was writing this album, I was very inspired by music from the mid- to late-seventies, especially songs that had string synthesizers in place of Mellotrons. And of course, the drum sounds from that era, which I absolutely love. These songs were all written after I got married and our son was born, so for the first time, on any album really, I let the songs be reflections of specific events. “October After All” was produced by Rhys Marsh and recorded & mixed by Marsh at the Autumnsongs Recording Studio in Trondheim, with additional recording by Roar Øien at Tyrirot Studio, Tim Bowness at the Hidden Art Studios, and Arve Henriksen at the Arve Music Studio. Karisma Records have gone much further afield than their native Norway with their latest signing, Brazilian Symphonic Proggers CARAVELA ESCARLATE, whose self-titled sophomore full-length album will be released by the label on the 1st of March. Formed in Rio de Janeiro in 2011, CARAVELA ESCARLATE’s lineup of David Caravelle on vocals, bass, guitars and violins, Ronaldo Rodrigues (MASSAHARA, ARCPELAGO) on Keyboards and Elcio Cáfaro on Drums, are a trio heavily inspired by both English and Italian ’70’s Prog Rock, but they draw on traditional and popular Brazilian music, which gives them a special, and quite unique, sound. Whilst the band’s 2017 debut album “Raschuno” was more acoustic, “Caravela Escarlate” is a huge step towards a more keyboard-driven, classic prog rock sound for the band. It is an album that almost sounds as if it could have been recorded in 1973, but the lyrics (in Portuguese) give it a distinctly modern edge, inspired, as they are, by science fiction, comic books and environmental concerns. Recorded at the Mata Studio in Rio De Janeiro in 2017, the album follows the adventures of Caravela Escarlate, which, translated means “Crimson Ship”, an alien being from Sideral space that can transform itself into its own means of transport – specifically a ship. And you’d be hard-pushed to find a better subject for a spaced-out, retro prog album than that! Karisma Records have revealed details of the third full-length album from singer, songwriter, multi-instrumentalist and producer RHYS MARSH, as well as a video for a track from the album. Titled “October After All”, the album is set for release on the 22nd February. MARSH, born in London, but now living in Trondheim, Norway, began his career in 2008, and released a plethora of albums through various projects and collaborations that included the bands RHYS MARSH AND THE AUTUMN GHOST, KAUKASUS and MANDALA, as well as his debut solo full-length album “Sentiment” in the autumn of 2014. Its follow up, “The Black Sun Shining”, was a 42-minute song-cycle, written and recorded in only seven days. With “October After All” MARSH has come up with a beautiful, atmospheric, prog album that features both alternative rock and jazz elements. Once again he is handling most of the instrumental duties, but the album also features contributions from Arve Henriksen on trumpet and Kåre Kolve on saxophone, as well as a choir which includes the talents of Rohey, Silje Leirvik, Anders Bjermeland and Tim Bowness. “October After All” was produced by Rhys Marsh and recorded & mixed by Marsh at the Autumnsongs Recording Studio in Trondheim, with additional recording by Roar Øien at Tyrirot Studio, Tim Bowness at the Hidden Art Studios, and Arve Henriksen at the Arve Music Studio. Musicians on the album include Rhys Marsh, Anders Bjermeland, Tale Vang Ellefsen, Kåre Kolve, Roar Øien and Arve Henriksen. Photos by Nils Kristian Thompson Eikeland, and artwork by Carl Glover. “October After All” will be available in CD, Digital and Vinyl formats. The CD and Vinyl formats will include a link to 12 downloadable bonus tracks. Norway’s KRAKOW have revealed another stunning new video for a track from their latest album “minus”. Imagine a world where all you know to be true is also the opposite. Where every truth has an alternate side, and where there are heads on both sides of the coin and where the mirrors point both ways. Doesn’t take much to make that leap of faith, now does it? But still, beyond the second truth may be another, and another, and yet another version of reality. Layers, levels, dimensions, infinite snapshots of moments frozen in time, always existing yet forever lost. This is the gift The Stranger carries, as he walks towards you, kaleidoscope in hand and an inviting smile. Ahead of you is a journey through KRAKOW’s complete musical universe, a distillation of all that KRAKOW ever was or will ever be. All the same this is like nothing the band has ever created before – a perfect song, a perfectly told story, a perfect snapshot of the Krakowian spirit. The choice is yours now, and only you will see what is there for you to see. Esteban Farias has outdone his talent on this one and truly captured the essence of The Stanger! Thank you. “minus” was recorded in the famous Duper and Solslottet studios in the Bergen Kjøtt creative complex, in collaboration, once more, with Iver Sandøy. It is, effectively, two albums-worth of material distilled into one, very focussed, gem. 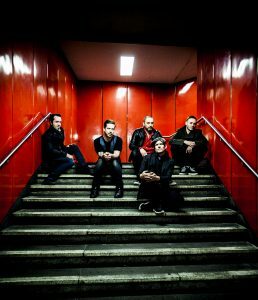 According to the band, “minus” is “the pinnacle of achievement of KRAKOW’s thirteen-year existence, representing the bare essence of who KRAKOW are as individuals, as a group, and as story tellers. It defies any attempts at genre definition, and covers the heavy, the subtle, the melodic, the atonal, the groovy, the sluggish, the dense, the airy, the naked, and always, always, that wall of sound from whence no light can escape. Available on Karisma Records in Digipak, 12″ Vinyl, and Digital formats, “minus” includes a guest appearance from MOTÖRHEAD’s Phil Campbell on the opening track, and ends with a choir consisting of a select group of Bergen-based musical veterans. Having announced last year that they would be releasing completely remastered vinyl editions of AIRBAG’s entire back catalogue, Karisma Records are now set to release “All Rights Removed”, the second in the series from the Norwegian Prog Rockers. “All Rights Removed”, the band’s sophomore full-length album, was originally released in 2011 and the vinyl version has long-been unavailable, so the February 8th release will be welcome news to the band’s many fans. A follow up to 2009’s critically acclaimed debut “Identity”, “All Rights Removed” saw the band taking a huge step forward with an album that has a much darker atmosphere and much longer, more epic songs, without sacrificing AIRBAG’s distinctive sound. Formed in Oslo, Norway in 2004 AIRBAG’s music is best described as scenic, epic rock, the band’s lineup consists of Bjørn Riis (guitars, keyboards, backing vocals, bass, co-producer), Asle Tostrup (vocals, keyboards, programming, producer, graphic design), Henrik Fossum (drums) . AIRBAG’s next live appearance will be on the 18th January at the John Dee, in Oslo, Norway, and will be followed by a trip to the Caribbean where the band will appearing at the Cruise to the Edge Proggers of the Caribbean event on board the Brilliance of the Seas in February. Norway’s Karisma Records have found another up and coming band to add to their already impressive roster, in the shape of Experimental Rockers FERVENT MIND. Formed in 2014 by vocalist and composer Live Sollid, FERVENT MIND draws its inspiration from bands such as PORCUPINE TREE, MEW, MASSIVE ATTACK, RADIOHEAD and SUSANNE SUNDFØR, mixing these diverse elements to create a sound that is both unique and original, and which balances on a fine line between the rough and the delicate. Aside from Live on vocals and effects, FERVENT MIND’s lineup includes Simen Skrebergene on electric guitar, Martin Sandvik Gjerde on keyboards, Martin Skrebergene on electric bass, and Henrik Håland on drums. 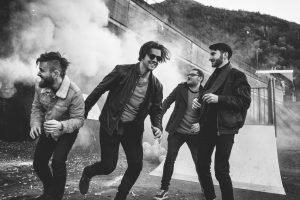 Together they play experimental rock with elements from both post rock and metal, as well as from dream pop, trip hop and contemporary jazz, and they have garnered quite a reputation for their intense and energetic live performances. We are super happy to announce that we have signed with the record label Karisma Records! Awesome times are ahead of us, and we can’t wait to show you our album! With their latest release “Osloborgerlig Tusmørke: Vardøger og utburder vol. 1” set to hit the streets on Karisma Records on the 30th November, Norway’s TUSMØRKE have released a video for “Skattegravere i Grefsenåsen” , the opening track from the album. “Skattegravere i Grefsenåsen” was written during the winter of 2015 and recorded in Det Ytre Rommet during 2017 and 2018 by Benediktator. The inspiration for the lyrics came from a folk tale by Asbjørnsen & Moe, as well as from the legends about children who find silver under rocks in the wilderness. There are stories of poor people stepping on stones and hearing the clang of metal and finding buried and forgotten treasure. There are also stories of people hearing the sound, only to realise later what it must have been and going on the spend the rest of their lives searching for the spot, never to find it again and driven mad with frustration and the lust for coin. “Osloborgerlig Tusmørke: Vardøger og utburder vol. 1” itself is a a concept album that explores the rich history and mythology of Norway’s capital city Oslo. Vardøger are premonitions that precede an actual event. Utburder are infants who are abandoned in the woods at birth and whose haunting cries reverberate eerily through the night . TUSMØRKE describe “Osloborgerlig Tusmørke: Vardøger og utburder vol. 1” as “the signs of things to come and the sounds of the unwanted”, and, as the “vol 1” part of its title suggests, the album is the first part of a series of compilations that feature songs, demos, outtakes and curios that didn’t QUITE make it onto TUSMØRKE’s albums themselves. It will be available in CD, Digital and Limited Edition vinyl formats with the first LP being released on transparent orange vinyl (limited to 700 copies) with a 4 page lyric booklet and an A2 poster. Featuring members of WOBBLER, JORDSJØ and ALWANZATAR, TUSMØRKE’s lineup fields an almost dizzying variety of instruments, and is comprised of Benediktator on Bass, vocals, Glockenspiel and percussion, Krizla on Flute, vocals, electronics and percussion, The Phenomenon Marxo Solinas on Minimoog Model D, Korg CX3, William de Blaise on harpsichord, Steinway & Sons Grand Piano, Hohner Clavinet D6, Mellotron M400, Hammond C3, Wurlitzer 200 and Solina String Ensemble, Dauinghorn on Clavinet, Hammond, grand piano, acoustic and electric guitars, and additional flute, and HlewagastiR on Drums and percussion. This press release was sent out via Karisma Records at the request on Nuclear Blast. Enjoy! Copyright © 2018 Nuclear Blast Records, All rights reserved. Formed in Bergen, Norway, in 1991, Enslaved had evolutionary zeal in their eyes from the start. Even as they emerged from the nascent Norwegian black metal scene of the early ‘90s, guitarist Ivar Bjørnson and vocalist/bassist Grutle Kjellson demonstrated a fervently idiosyncratic approach to making extreme music. By eschewing the wilful conservatism of their peers in favour of an outward-looking ethos, Enslaved’s reputation grew rapidly in the wake of extraordinary, epic albums like their primitive but insidious debut Vikingligr Veldi and its strident follow-up Frost (both 1994). By the late ‘90s, the band had morphed into a wildly progressive and adventurous beast, always retaining the core, aggressive tenets of their musical roots but increasingly in thrall to the limitless possibilities that music, in its entirety, truly presents. Widely acknowledged as a powerful and ferocious live band, Enslaved entered the 21stcentury by flexing new muscles on the acclaimed likes of 2003’s Below The Lights and its groundbreaking successor, Isa (2004). Now as much a part of the flourish progressive rock and metal realm as they were loyal servants of the extreme metal underground, Bergen’s finest hit a rich vein of form as the years passed, with albums as diverse and challenging as 2008’s Vertebrae and 2010’s Axioma Ethica Odini joyfully expanded the Enslaved musical universe, drawing in countless new acolytes along the way. In 2015, Enslaved released their 13th studio album, In Times. A tour-de-force of hypnotic prog intensity and scabrous, blackened pomp, it exuded an air of completion and finality that led perfectly into 2016’s extravagant celebrations, as Enslaved marked their 25th anniversary with some truly life-changing shows that explored all shadows and hidden corners in the band’s colossal catalogue. In Times represented the end of an era and the opening of a gateway to somewhere entirely new. Despite rarely pausing for breath – not just as a result of Enslaved’s hectic touring schedule, but also due to numerous extracurricular projects – Ivar and his comrades have somehow managed to piece together yet another full-length milestone in the shape of their 14th studio effort, the elegantly titled E. Written amid a burst of creativity, grabbed at the tail-end of the band’s 2016 US dates, the new album marks the majestic birth of a revitalised and newly inspired Enslaved. Against the logistical odds, a new dawn was coming. powered shoegaze barrage of monstrous closerHiindsiight, it is both a typically bold and fearless statement from this most inventive of modern metal bands and a thrilling sideways step that harnesses the spirit of old and sets it loose in a whirlwind of imagination. Conceptually, too, Enslaved are making giant forward strides. While past albums frequently focused on notions of individuality and isolation, E offers a transformative fresh perspective. 14 albums and 26 years into a career that shows no signs of losing neither momentum nor its magical, effervescent creative sheen, Enslaved are once again evolving before our ears and eyes. This time, however, even the sky is no limit. Stronger than ever and manifestly thrilled to be in such rude health, Ivar avows that life in Enslaved has never been more rewarding. And the best is yet to come. KRAKOW was formed in Bergen, Norway in the fall of of 2005. 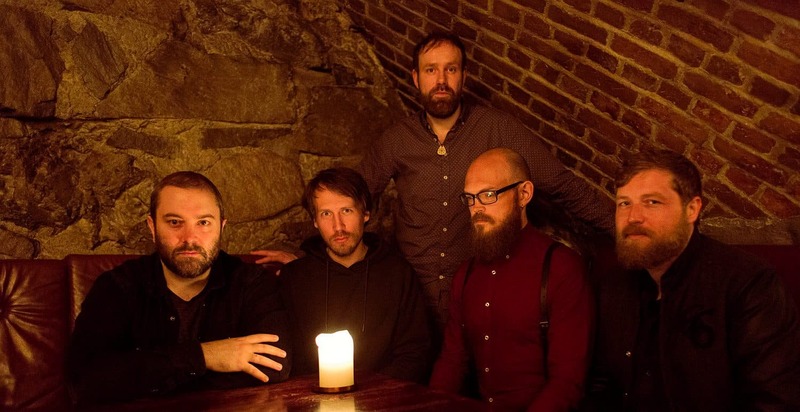 The post metal collective received much praise and recognition for their special take on the genre with their second album diin, which was voted the 3rd best metal album of the year by Metal Hammer Norway in 2012. Their third album, amaran, saw the band develop their style even further. The band made a unique and atmospheric record that stands out against its competition. With this album, the band explored both the calmer side of their sound, as well as the more experimental and drone aspects. This makes amaran a highly varied album, filled with both dreamy soundscapes and sinister, harsh atmospheres. Following the laborious process of distilling two albums worth of material into one focused gem, the band then created their latest offering, minus. The pinnacle achievement of KRAKOW’s thirteen-year existence. After a year of recording, shaping, re-recording and refining, minus has been reduced to the bare essence of who KRAKOW are as individuals, as a group and as story tellers. It’s an album that defies any attempts at genre definition and covers the heavy, the subtle, the melodic, the atonal, the groovy, the sluggish, the dense, the airy, the naked and always, always, that wall of sound where no light can escape. With themes spanning from outer space to the hidden worlds deep below, travelling in time from the distant future to the near past like an inverted space odyssey, we are taken on a journey where “we all become stories”, in ways as much a reflection of the ones we tell, as a revelation of the ones we won’t. Eccentric and Prolific are two adjectives that perfectly describe Norwegian Psychedelic Prog Folk Rockers TUSMØRKE who are ready to release their third album in twelve months. Titled “Osloborgerlig Tusmørke: Vardøger og utburder vol. 1”, it will hit the streets on the 30th November on Karisma Records. 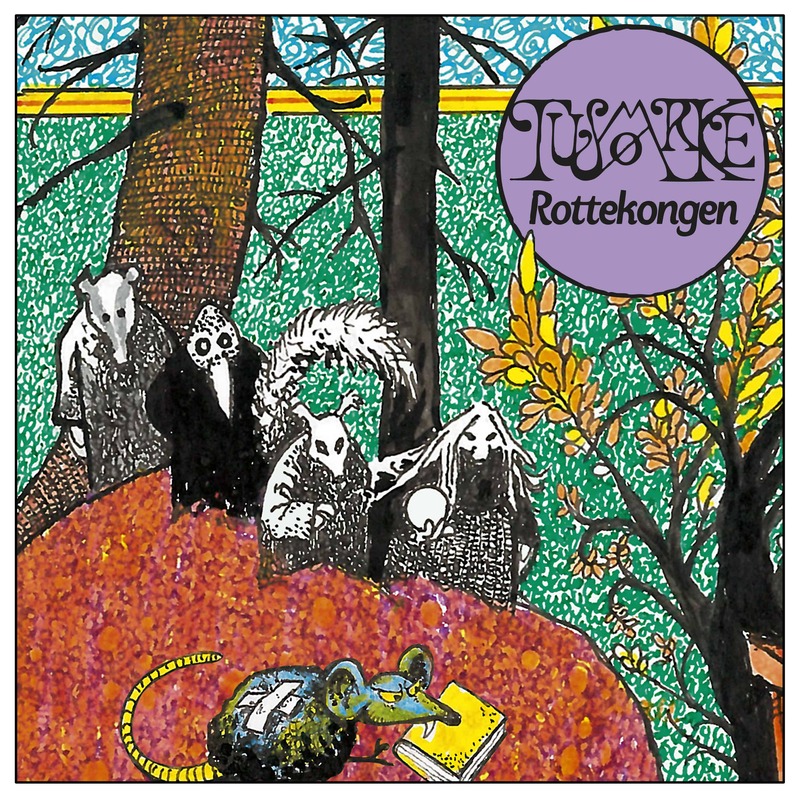 Being a band that moves fast, there is so much of TUSMØRKE’s material that gets left out, either through lack of space or lack of studio time, therefore, as the “vol 1” part of the album title suggests “Osloborgerlig Tusmørke: Vardøger og utburder vol. 1” is the first part of a series of compilations that feature songs, demos, outtakes and curios that didn’t QUITE make it onto TUSMØRKE’s albums themselves. It is also a concept album that explores the rich history and mythology of Norway’s capital city Oslo. Vardøger are premonitions that precede an actual event. Utburder are infants who are abandoned in the woods at birth and whose haunting cries reverberate eerily through the night . So here you have the album in a nutshell – the signs of things to come and the sounds of the unwanted. 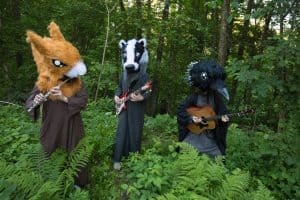 As well as the upcoming releases, TUSMØRKE, who are known for their offbeat sense of humour, are treating fans to a new video for a track from their previous album “Fjernsyn i farver”. Directed by Aleksander U. Serigstad, the video, for the track “Tøyens Hemmelighet” is even more amusing and out there than their previous forays, and sees the intrepid band members being lured into the Oslo Botanical Gardens by a mysterious figure who goes by the name of Zatek. Featuring members of WOBBLER, JORDSJØ and ALWANZATAR, TUSMØRKE’s lineup fields an almost dizzying variety of instruments, and is comprised of Benediktator on Bass, vocals, Glockenspiel and percussion, Krizla on Flute, vocals, electronics and percussion, Dauinghorn av Jordsjø on Clavinet, Hammond, grand piano, acoustic guitar, electric guitar and additional flute, and The Phenomenon Marxo Solinas on Minimoog Model D, Korg CX3, William de Blaise on harpsichord, Steinway & Sons Grand Piano, Hohner Clavinet D6, Mellotron M400, Hammond C3, Wurlitzer 200 and Solina String Ensemble, and HlewagastiR on Drums and percussion. TUSMØRKE’s next live appearance will be at the Haugaland Progfestival, Norway on the 3rd of November. They will also be celebrating the release of “Osloborgerlig Tusmørke: Vardøger og utburder vol. 1” with two shows supported by SAMMAL and BISMARCK. Why 235? A Manchester casino goes by this name. Lorry (ZEROMANCER band member and LJUNGBLUT sound engineer) and I were there some years ago. Lorry was doing well with the chips up until the point where I convinced him to head for the Roulette wheel. All on red. Broke in no time. Inspiration. Sindre (bass) wrote this one. He sent me a demo and asked me if it had the the right feel to make it a LJUNGBLUT track. Of course it had. I loved it instantly! Its stomping beat and the blend of both laid back and feisty guitars, triggered off a wave of words and ideas for vocals. His way of thinking about music is different to mine. Which is great and refreshing. Same goes for Dan (guitars) who has also written several songs on the upcoming album “Villa Carlotta 5959”. The guys have really cracked the code on how to compose songs in real Blut-fashion. I believe “235” was the very last song on the album that we rehearsed together, and made ready for live-recording, with some twists regarding notes, and re-arranging. Plus lifting the track up one key, meant that I had to push it vocally a bit more. It definitely suited the lyrics and the energy of “235”. For the mix, Alex (SEIGMEN/ZEROMANCER bandmember and LJUNGBLUT co-producer/mixer) and I decided to keep the room alive. We pushed up all faders for mono and stereo-room to get the live-feel even more present in the track. The lyrics are quite easy. It has obsessive-compulsive disorder written all over it. I think everyone in the band can relate to these words to a certain extent! “Villa Carlotta 5959” is, in fact, the last in the trilogy of the Norwegian language albums and in it Ljung creates smorgasbord filled with fascinating subjects ranging from the historical and factual, such as the tracks “Hasselblad”, which is about the 12 Hasselblad cameras left behind on the surface of the Moon, and “Superga”, which refers to the province of Turin, Italy, best known for its Cathedral and the plane crash that killed the Torino football team in 1949, to the personal , with tracks like “Min Krig” (My war) and “Aldri helt stille” (Never completely quiet), which address the subject of Ljung’s chronic migraines. Encompassing a wide range of tempos and dynamics, “Villa Carlotta 5959” presents the listeners with a cohesive sound and a melancholy mood, swathing Ljung’s characteristic vocals in vintage synths and instruments . Recorded live in the studio and mixed by Alex Møklebust (SEIGMEN / ZEROMANCER) and Terje Johannesen, guest artists on “Villa Carlotta 5959” include Ljunggren (A-HA, ZEROMANCER), Ginge Anvik (SUBGUD, soundtrack composer) and Terje Johannesen. 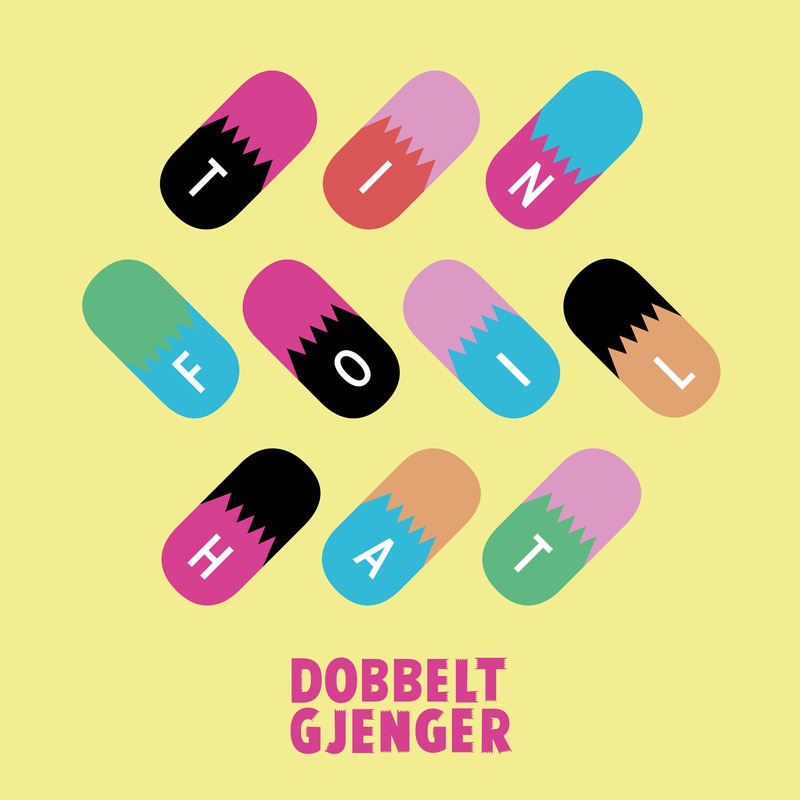 With their second full-length album “Limbohead” having hit the streets in March of this year on Karisma Records, Norway’s DOBBELTGJENGER have given fans a brand new single with which to fill the void in between releases. DOBBELTGJENGER’s lineup of Sondre Veland (MAJOR PARKINSON, OSSICLES) on drums, Jakob Sønnesyn (DEPRESNO, 9 GRADER NORD) on bass, Vegard Wikne (OCEAN OF LOTION) on guitars and vocals, and Knut Martin Rasmussen Langeland on guitar, prefer to eschew conventional labels in order to produce “straight-to-the-point” and refreshing alternative rock songs without being shackled by any “genre” pre-conceptions. 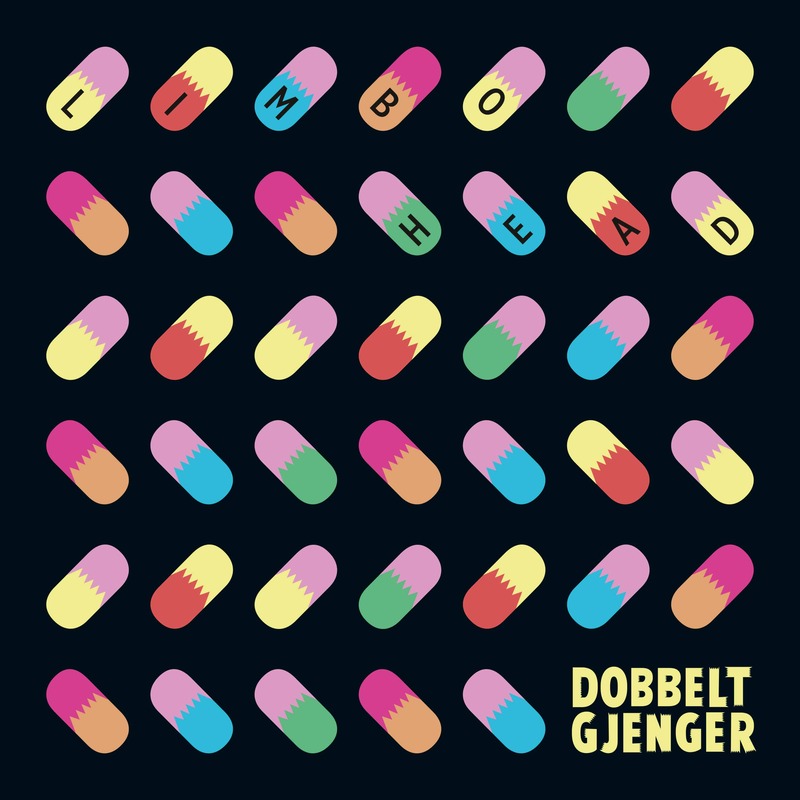 “Limbohead” itself has been described as a “colourful, varied and addictive rock album”, which pretty much sums up DOBBELTGJENGER, whose lyrics tell tales of deep-rooted neuroticism, and whose eclectic sound contains contagious grooves, a futuristic guitar sound and soulful rock vocals. They also clearly demonstrate that as a band DOBBELTGJENGER is not averse to injecting a dose of fun into the proceedings now and then. Since starting out as a folk-rock duo, and releasing their 2013 debut album “Lighthouse”, OAK’s lineup of Øystein Sootholtet (Bass, guitars, banjo, keys & programming), Simen Valldal Johannessen (vocals, piano, keys & lyrics), Sigbjørn Reiakvam (drums, percussion, programming & keys), Ole Michael Bjørndal (guitars) and Stephan Hvinden (guitars), have made considerable strides as both musicians and songwriters as their sophomore album demonstrates. There is still a nod in the direction of the debut full-length, but “False Memory Archive” is both darker and groovier , whilst retaining that successful amalgam of sound that is neither wholly progressive pop, nor wholly progressive rock, but which is absolutely trademark OAK and is comprised of catchy elements and stunning vocal harmonies, which create that unique duality that defines them as a band. It was just one of those days. An early morning. I read somewhere about the twelve Hasselblad cameras left on the moon. Made some fresh coffee and locked myself into the studio without any particular ideas in my head. In a few hours it was all there. Lyrics and everything. A real special feeling when it happens. The guys loved the demo. A few weeks later we rehearsed “Hasselblad” as a band, keeping it close to the original idea. Of course, Ted added a real great drum-pattern. It was only just over a 2-minute arrangement though. Right after I wrote it, I was visting Erik Ljunggren in his studio. Blown away by the collection of modular and vintage synthesizers, I asked him if he wanted to contribute for the end part. The Arp 2600 and the Oberheim Matrix creating most of the magic. All analogue. It was perfect. The drums, the bass, the guitar (with the Morley flanger pedal), the Omni and the Roland strings were all recorded live. I believe it was the third take. Sincerely happy with this one. Enjoy. When he formed LJUNGBLUT in 2005, Ljung was looking for a vehicle for the material he didn’t think was right for either SEIGMEN or ZEROMANCER, for whom he is the bassist and main songwriter. Three solo albums later, LJUNGBLUT evolved further with the addition of full-time members, some of whom had collaborated on LJUNGBLUT’s first two albums. Joining Ljung (keys and vocals) are Dan Heide (ZEROMANCER, RED7) on guitars, Ted Skogmann (APOPTYGMA BERZERK) on drums , Joakim Brendsrød on keys and Sindre Pedersen on bass, and, as a quintet, the band released two independent albums with Norwegian lyrics. “Villa Carlotta 5959”, which will be LJUNGBLUT’s sixth full-length album, is the last in the trilogy of the Norwegian language albums. It is an album in which Ljung explores matters both historical and personal. Whilst tracks like “Hasselblad”, about the 12 Hasselblad cameras left behind on the surface of the Moon, and “Superga”, which refers to the province of Turin, Italy, best known for its Cathedral and the plane crash that killed the Torino football team in 1949, deal with actual events and places, tracks like “Min Krig” (My war) and “Aldri helt stille” (Never completely quiet), are much more personal, dealing, as they do, with Ljung’s chronic migraines. The basis of “Villa Carlotta 5959” having been recorded live in the studio and mixed by Alex Møklebust (SEIGMEN / ZEROMANCER) and Terje Johannesen, Ljung’s characteristic vocals are embraced by a plethora of vintage synths and instruments. With its wide range of tempos and dynamics, “Villa Carlotta 5959” presents the listeners with a cohesive sound and a melancholy mood. 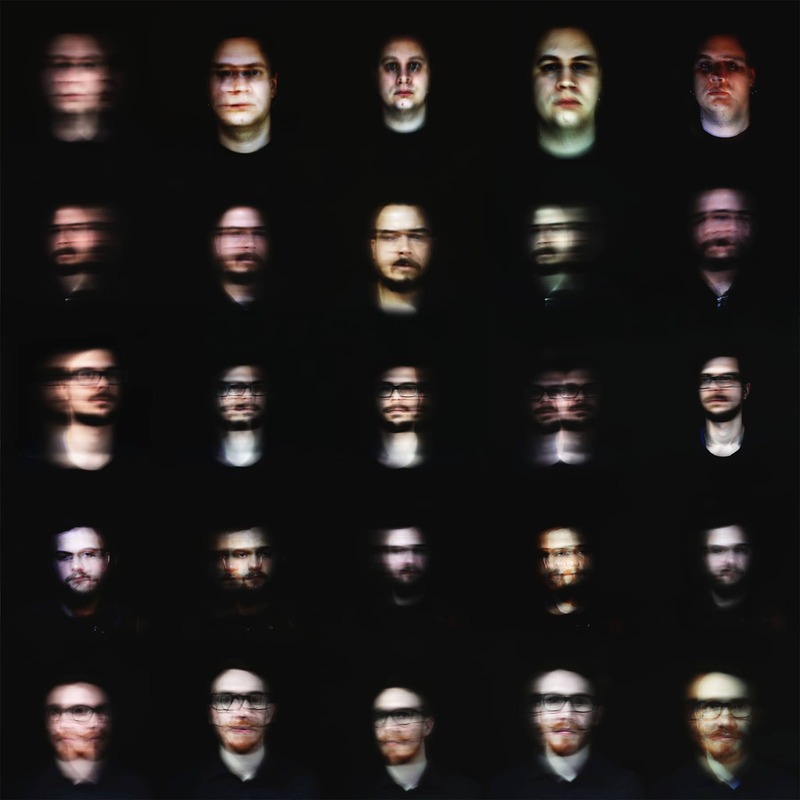 Their latest album “minus” may have been released at the end of last month, but Norway’s Experimental Post Metallers KRAKOW still have a few surprises left in store for their fans. as today they release a brand new video for a track from the album. The video, which is for “tidlaus”, the closing track on the album, was filmed in the studio whilst KRAKOW were recording “minus”. As the band explains: “We record the basics live, then we lay down the rest. The song itself is inspired by Warduna and Death in Vegas – a typical Krakow song except for the ending. Calm, mellow, eerie and powerful”. “minus” was recorded in the famous Duper and Solslottet studios in the Bergen Kjøtt creative complex, in collaboration, once more, with Iver Sandøy. It is, effectively, two albums-worth of material distilled into one, very focussed, gem. 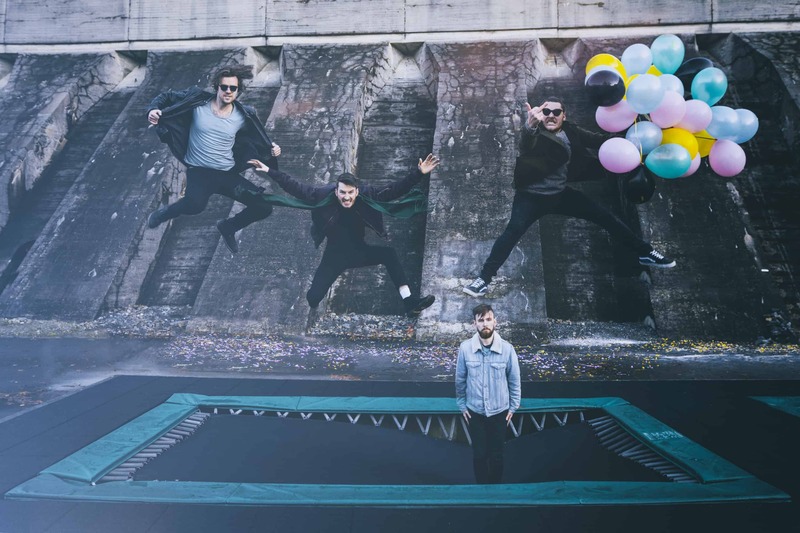 According to the band, “minus” is “the pinnacle of achievement of KRAKOW’s thirteen-year existence, representing the bare essence of who KRAKOW are as individuals, as a group, and as story tellers. It defies any attempts at genre definition, and covers the heavy, the subtle, the melodic, the atonal, the groovy, the sluggish, the dense, the airy, the naked, and always, always, that wall of sound from whence no light can escape”. The new album itself is due for release on Karisma Records on the 31 August, and was once again recorded in the renowned Duper and Solslottet studios in the Bergen Kjøtt creative complex, in collaboration, once more, with Iver Sandøy. KRAKOW even brought in some help this time to tell these stories – the album ending with a choir consisting of a select group of Bergen based musical veterans, whilst the opening track introduces the most rock n’ roll guitar solo, courtesy of one Phil Campbell of Motörhead fame. “minus” is effectively two albums-worth of material distilled into one, very focussed, gem. It is, according to the band, “the pinnacle of achievement of KRAKOW’s thirteen-year existence. After a year of recording, shaping, re-recording and refining, “minus” has been reduced to the bare essence of who KRAKOW are as individuals, as a group, and as story tellers. It is an album that defies any attempts at genre definition and covers the heavy, the subtle, the melodic, the atonal, the groovy, the sluggish, the dense, the airy, the naked, and always, always, that wall of sound where no light can escape”. Symphonic Rockers GALASPHERE 347, whose self-titled debut full-length album is due to hit the streets on Karisma Records on the 20th July, have today released a video from the album. The video, by Stephen Bennett, is titled “The Voice of Beauty Drowned Part I”. It is, as the band explains: “A song of longing and loss”, and forms a part of the opening track from the album. Formed in 2018 GALASPHERE 347 is an Anglo-Scandinavian collaboration from members of HENRY FOOL, WHITE WILLOW and WESERBERGLAND. Its lineup of Stephen James Bennett on vocals, keyboards and guitars, Ketil Vestrum Einarsen on keyboards, programming and flute, Jacob Holm-Lupo on guitar and bass, and Mattias Olsson on drums, keyboards and guitars, incorporates the technical spectacle of progressive rock, with the distorted insistence of Krautrock, via the intimacy of the singer-songwriter’s oeuvre. For their debut album, which is composed of three long-form pieces, GALASPHERE 347 have produced a work that is on an epic, widescreen, scale. It is replete with a powerful and dynamic drum sound that intertwines itself with liquid bass lines, grinding guitars, mellifluous flute and lush analogue keyboards, the whole of which is topped off by passionate vocals. GALASPHERE 347 recently had this to say about it: “Our debut album is like a progressive rock cruise in outer space—with Stephen James Bennett at the helm. An amalgamation of the four band members’ collective musical past, stewed together in an intergalactic recording studio”. With this song, and video animated by Esteban Sebastián Farias, KRAKOW pay tribute to their influences, a concept enhanced by the guest appearance of Phil Campbell of Motörhead fame. Karisma Records have inked a deal with Anglo/Scandinavian Symphonic Rockers GALASPHERE 347 and are set to release the band’s debut self-titled album on the 20th July. Formed in 2018, and with a lineup whose pedigree includes bands such as as WHITE WILLOW, HENRY FOOL, ÄNGLAGÅRD, THE TIM BOWNESS BAND, WESERBANDLAND and NECROMONKEY, GALASPHERE 347 creates music on an epic, widescreen, scale, replete with a powerful and dynamic drum sound that intertwines itself with liquid bass lines, grinding guitars, mellifluous flute and lush analogue keyboards, the whole of which is topped off by passionate vocals. As can be expected from the varied geographical locations of members Stephen James Bennett on vocals, keyboards and guitars, Ketil Vestrum Einarsen on keyboards, programming and flute, Jacob Holm-Lupo on guitar and bass, and Mattias Olsson on drums, keyboards and guitars, GALASPHERE 347 draws from a variety of influences. Together, these vastly experienced musicians seamlessly incorporate the technical spectacle of progressive rock with the distorted insistence of Krautrock, via the intimacy of the singer-songwriter’s oeuvre, to produce a three-track album that spans a total of forty minutes, or, as the band says, “Just about enough time to reach Jupiter at the speed of light”. Commenting on the new album, GALASPHERE 347 had this to say: “Our debut album is like a progressive rock cruise in outer space—with Stephen James Bennett at the helm. An amalgamation of the four band members’ collective musical past, stewed together in an intergalactic recording studio”. 1. less by the subtraction of; decreased by. 3. involving or noting subtraction. 5. less than; just below in quality. 6. Informal. having negative qualities or characteristics; inferior. 7. Mycology. (in heterothallic fungi) designating, in the absence of morphological differentiation, one of the two strains of mycelia that unite in the sexual process. 10. a deficiency or loss. 11. Informal. a person or thing with no apparent abilities, usefulness, etc. Six songs. Nine singers. Three guitarists. Two drummers. One bassist. KRAKOW is back with a new album, summarized in title as minus. The result of laborious and intense work over the course of a year, with two and a half albums’ worth of music chiselled down to one perfected collection of songs, the band is finally ready to reveal details of its upcoming album. With themes spanning from outer space to the hidden worlds deep below, travelling in time from distant future to nearer past like an inverted space odyssey, we are taken on a journey through stories, as much a reflection of those we tell as a revelation of those we won’t. Stunning visually, a complete physical design inspired by the music and defined by the patterns that shaped those songs, the vinyl and CD editions promise to be gems as suited to the stereo as to the shelf above it. And the music, as always stretching towards the outer borders of any attempted genre definition covers the heavy, the subtle, the melodic, the atonal, the groovy, the absolutely ungroovy, the dense, the airy, the naked, and, always, always, that wall of sound where no light can escape before the singer stands there alone with his last story. There are guests, they bring glitz and rock n’ roll as well as a grounding force towards the mountain core. There is beauty, and there is rotten decay, like a lush forested island in a lake of septic water. There are monsters and there are saints, and none of them reveal themselves, we must find those cracks on our own. It’s a collection of contradictions, is what we’re saying. It’s a KRAKOW album. KRAKOW’s next live appearances will be at Inferno Metal Festival in Oslo on the 31 March and at Bergenfest on the 12 June. Karisma Records have good news today for fans of PLENTY who have waited three decades for a new release from the band that was formed in 1986 from the remnants of the eccentric Liverpool-based Post-Punk ensemble A BETTER MOUSETRAP and the Art Rockers from Warrington, AFTER THE STRANGER, and is the immediate predecessor to Tim Bowness’ NO-MAN band. Because today they bring you two tracks from the upcoming album “It Could Be home” . One is a single release for the track “Hide” and the other is a lyric video for the track “Every Stranger’s Voice”. “Every Stranger’s Voice” was one of the last songs written by Plenty during its first incarnation and dates from 1990. It’s one of the grand ‘doomed romantic ballads’ that partly defined Plenty and early No-Man. I always felt it was one of the strongest songs we’d come up with, but it had the misfortune of emerging in the month that No-Man got its first record and publishing deals so was abandoned very shortly after being written. Michael Bearpark’s searing solo on the track is a real highlight for me. Bob Hodds’ atmospheric video ambiguously captures the emotional ‘force of nature’ that drives the lyric”. “”Hide” is one of the few Plenty pieces that betrays the band’s origins as part of the thriving Liverpool Post-Punk/Art Pop scene of the 1980s. It was written in 1987 and was an important part of the live performances we did at the time. All two of them! I always liked the fact that the song itself hid a dark lyric about mental illness and the desire for retreat behind a jaunty and propulsive musical facade. As I croon about someone’s tragic decline and stasis, Brian and David’s playing exudes something joyous and surprising. The lyric was inspired by a friend who also provided part of the inspiration behind No-Man’s Animal Ghost”. “It Could Be Home”, which features PLENTY’s most enduring lineup of Tim Bowness on vocals, Brian Hulse on guitars and keyboards, and David K Jones on bass, was recorded between the spring of 2016 and the summer of 2017, when the band got together once more to re-record their 1980 catalogue of 16 songs, along with one completely new one. “It Could Be Home” Remains faithful to both the spirit of the original recordings, and the era in which they were written, with PLENTY re-writing some of the lyrics and streamlined some of the song arrangements in order to finally produce “It Could Be Home”. It is an album that showcases the origins of the styles that were subsequently to become the trademarks of Bowness and NO-MAN. Significantly, it also reveals a variety of shades to Bowness’ singing, as Jones’s powerful bass playing and Hulse’s inventive guitar parts and pulsating electronics, push his vocals into territories he has rarely explored since the 1980’s. It is an album that could, essentially, be described as a re-discovered gem of the Art Pop genre in which PLENTY’s cover of THE ROLLING STONES’ “As Tears Go By” is given a radical synth-heavy overhaul, “Hide” and “Climb” possess a driving Post-Punk energy, while pieces like “Foolish Waking” and “Strange Gods” anticipate the timeless atmospheric melancholy of Bowness’ music and the direction which it is taking. “The Good Man”, the band’s first new song in 27 years, provides a seamless link between PLENTY’s past and its present. 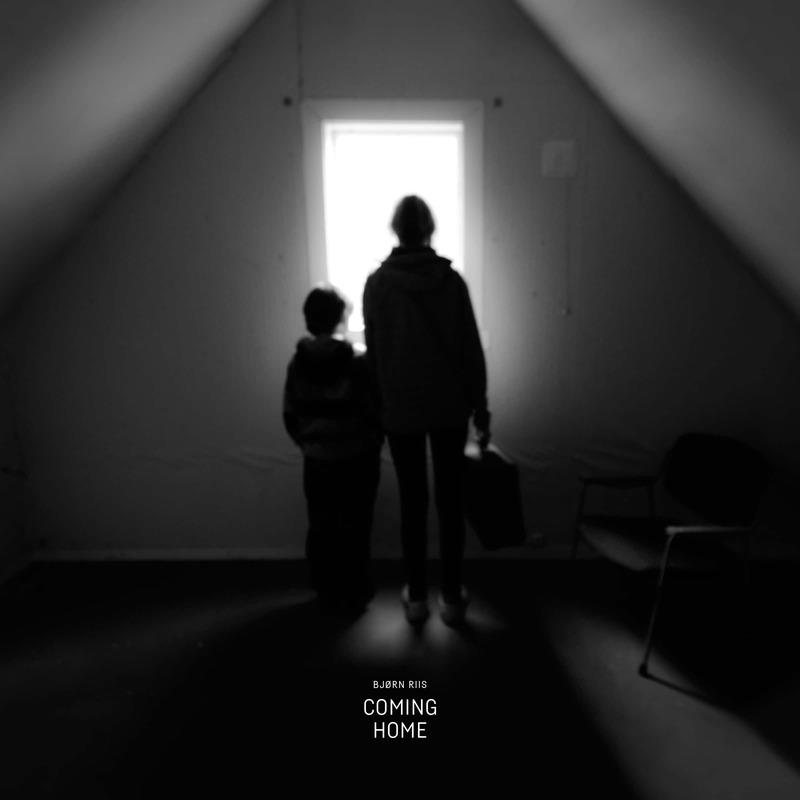 Set for release on Karisma Records in CD, Digital, LP and Limited Edition Blue Vinyl formats on the 27th April, “It Could Be Home” is mixed and instrumentally augmented by Norwegian producer Jacob Holm-Lupo (WHITE WILLOW, THE OPIUM CARTEL), and mastered by THE PINEAPPLE THIEF’S Steve Kitch. The album also features contributions from former PLENTY guitarist Michael Bearpark, pianist Peter Chilvers (BRIAN ENO, KARL HYDE) and NO-MAN violinist Steve Bingham. 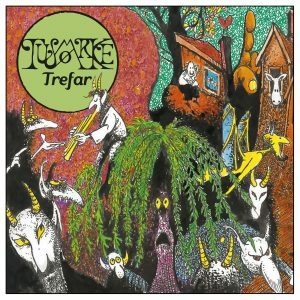 Hot on the heels of their surprising children’s album, released on Karisma Records in late 2017, Norwegian Psychedelic Prog Folk Rockers TUSMØRKE are set to release “Fjernsyn i farver”, their sixth full length album, on the 4th May. 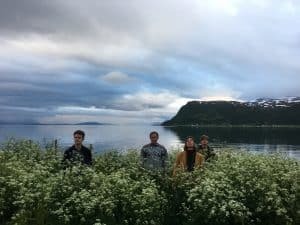 Never having been a band that is afraid of anyone, or anything, even the extremely complex, and rather baffling theories of existence, TUSMØRKE are happy to tackle any subject matter they perceive to be significant, and are quite prepared to wrestle their musical way through ideas that they barely comprehend. Which brings us to the somewhat mind-blowing concept on which “Fjernsyn i farver” is based. “Everything we see is a reflection made by light from the sun hitting an object. The reflected light is registered by our eyes, but the reflection is also sent out in all other possible directions, travelling at the speed of light. The unobstructed reflections would travel forever onwards into space, therefore, theoretically, if we could devise a means to move faster than light, we could overtake these reflections and view them again, seeing history backwards. “The second idea is that light is invisible until it hits something and is reflected back, creating an image in colour which the human eye can see. So if there were no physical objects to reflect the light, there would be an eternal totality, a darkness of sorts, since light would not be seen”. “Fjernsyn i farver”, which will be available in Dikipak, Digital Download, 12″ Vinyl and Limited Edition Purple Vinyl formats, is served up with TUSMØRKE’s brand of psychedelic prog folk, so that whilst the ideas may seem a little “out there”, the music is very accessible and, as always, interesting. Featuring members of WOBBLER, JORDSJØ and ALWANZATAR, TUSMØRKE’s lineup fields an almost dizzying variety of instruments, and is comprised of Benediktator on Bass, vocals, Glockenspiel and percussion, Krizla on Flute, vocals, electronics and percussion, The Phenomenon Marxo Solinas on Minimoog Model D, Korg CX3, William de Blaise on harpsichord, Steinway & Sons Grand Piano, Hohner Clavinet D6, Mellotron M400, Hammond C3, Wurlitzer 200 and Solina String Ensemble, and HlewagastiR on Drums and percussion. In a surprise announcement today that will please fans of Kim Ljung of SEIGMEN and ZEROMANCER, not only did Karisma Records reveal that they would be releasing the sixth full-length album from Ljung’s LJUNGBLUT project, they have also released an exclusive new single which will not be available on the album. Formed by Ljung in 2005 in Tønsberg, Norway, as a vehicle for songs that he felt didn’t fit in with either SEIGMEN or ZEROMANCER, LJUNGBLUT became a fully fledged band in 2011 with the addition of full-time members, some of whom had collaborated on LJUNGBLUT’s first two albums. Joining Ljung (keys and vocals) are Dan Heide on guitars, Ted Skogmann on drums , Joakim Brendsrød on keys , and Sindre Pedersen on bass. With five independently released albums under their belts, LJUNGBLUT are set to release their much-awaited sixth full-length album, which will be titled “Villa Carlotta 5959”, on Karisma Records in the fall of 2018. “Coming Home” was initially written and considered for my last full-length album “Forever Comes to an End”, which was released on Karisma Records in 2017, and we did, in fact, record the drums for it. However, there was something different about this song. It had a much darker atmosphere and I decided that I would save it for a mini-album that I’d been wanting to do for some time. “Coming Home” was something of a dare because I don’t consider myself a singer and it’s a really a stripped down song, but I’m very happy with it. I like the duality between the sombre and naked opening and the huge stadium-like ending. Henrik Fossum from AIRBAG plays drums, whilst I do the vocals, guitars and keys”. As well as “Coming Home”, the five-track album includes a newly recorded semi-acoustic version of the title track from Bjørn ‘s 2014 debut album “Lullabies in a Car Crash”, and a duet with the Norwegian singer SICHELLE. With a front cover image from a collection titled “Sorrow” by the Norwegian photographer Kjetil Karlsen, who provided the much-lauded cover image for Bjorn’s second full-length album “Forever Comes to an End”, design and layout on “Coming Home” is by Asle Tostrup. It might have taken PLENTY three decades, including a long period of dormancy, to release a new album, but there is absolutely no doubting that PLENTY’s pedigree promises an album well-worth the wait. Formed in 1986 from the remnants of the eccentric Liverpool-based Post-Punk ensemble A BETTER MOUSETRAP and the Art Rockers from Warrington, AFTER THE STRANGER, PLENTY would be the immediate predecessor to Tim Bowness’ NO-MAN band. With a sound that alternated between electro-pop anthems, poignant ballads and ambient experiments, and with a distinct nod towards contemporary artists such as THE BLUE NILE and PREFAB SPROUT, PLENTY found themselves positioned alongside icons such as DAVID BOWIE and PETER GABRIEL. Three cassette releases appeared between 1987 and ’88, along with two live appearances the following year, as well as the obligatory lineup changes, until PLENTY called a temporary halt to proceedings in 1990, when band members found themselves involved with other projects, either musically or in their personal lives. 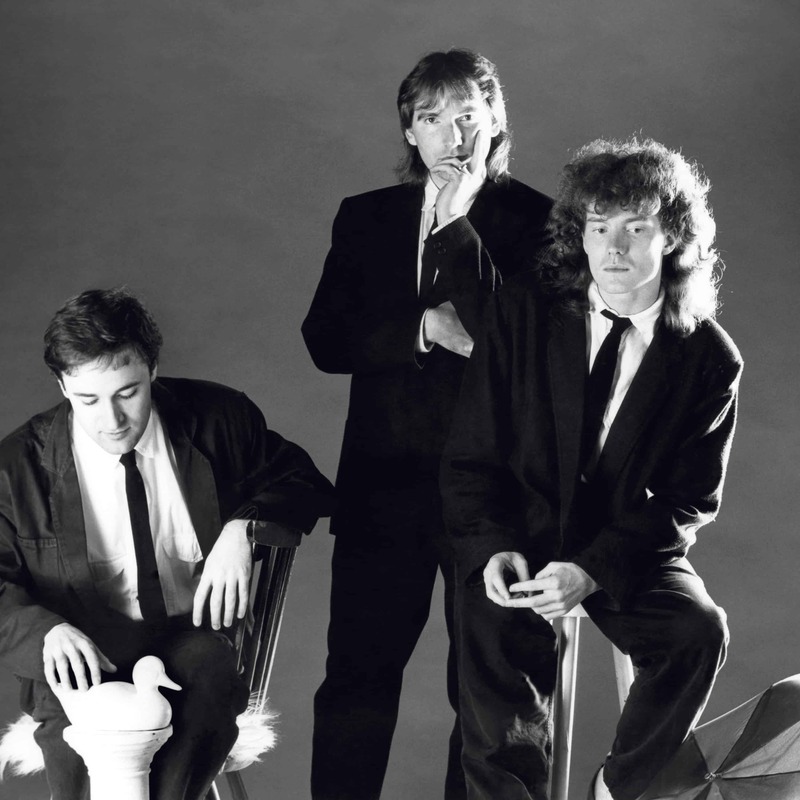 It was a hiatus that was to last until 2016, when, between the spring of that year, and the summer of 2017, PLENTY’s most enduring lineup of Tim Bowness on vocals, Brian Hulse on guitars and keyboards, and David K Jones on bass, got together once more to re-record the band’s 1980 catalogue of 16 songs, along with one completely new one, in order to complete “It Could Be Home” – the album they had hoped to release three decades earlier. Remaining faithful to both the spirit of the original recordings, and the era in which they were written, the band re-wrote some of the lyrics and streamlined some of the song arrangements in order to finally produce “It Could Be Home”. It is an album that showcases the origins of the styles that were subsequently to become the trademarks of Bowness and NO-MAN. Significantly, it also reveals a variety of shades to Bowness’ singing, as Jones’s powerful bass playing and Hulse’s inventive guitar parts and pulsating electronics, push his vocals into territories he has rarely explored since the 1980s. Mixed and instrumentally augmented by Norwegian producer Jacob Holm-Lupo (WHITE WILLOW, THE OPIUM CARTEL), and mastered by THE PINEAPPLE THIEF’S Steve Kitch, the album also features contributions from former PLENTY guitarist Michael Bearpark, pianist Peter Chilvers (BRIAN ENO, KARL HYDE) and NO-MAN violinist Steve Bingham. In an album that could be described as a re-discovered gem of the Art Pop genre, the cover of THE ROLLING STONES’ “As Tears Go By” is given a radical synth-heavy overhaul, “Hide” and “Climb” possess a driving Post-Punk energy, while pieces like “Foolish Waking” and “Strange Gods” anticipate the timeless atmospheric melancholy of Bowness’ music and the direction which it is taking. “The Good Man”, the band’s first new song in 27 years, provides a seamless link between PLENTY’s past and its present. Titled “Coming Home”, the five-track album, which is set for release in MCD format on the 23rd February, will include a newly recorded semi-acoustic version of the title track from Bjorn’s 2014 debut album “Lullabies in a Car Crash”, as well as a duet with the Norwegian singer SICHELLE. “I’m really happy and proud of the vocals this time, and the duet with Sichelle on “Drowning” is very emotional. Lyrically, “Coming Home” deals with the fear and insecurity of being forgotten by the people around you. You imagine all these dramatic scenes and wonder if you’ll ever be missed if something really was to happen. “Lullabies” just fit right into the mood and theme of this album. It’s almost become a new song. It’s very honest and moving” . The track features AIRBAG and BJØRN RIIS BAND touring guitarist Ole Michael Bjørndal on lead guitar. Drawing their inspiration from everything from astronauts lost in space to old video games, Norway’s DOBBELTGJENGER was formed in the musical cradle that is Bergen in 2015. The band features an experienced and skilled lineup of musicians that include Sondre Veland (MAJOR PARKINSON, OSSICLES) on drums, Jakob Sønnesyn (DEPRESNO, 9 GRADER NORD) on bass, Vegard Wikne (OCEAN OF LOTION) on guitars and vocals, and Knut Martin Rasmussen Langeland on guitar. 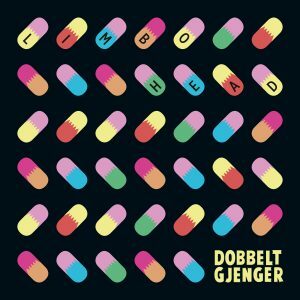 Whilst the DOBBELTGJENGER ‘s 2016 debut album “When I’ve Gone to Space” was heavily influenced by progressive rock and elements of jazz and psychedelia, “Limbohead” represents a shift away from a narrow psychedelic expression towards a more eclectic sound. The end result is described by the band as a “punk-inspired, and more hands-on, record” replete with explosive stoner riffs and electric slide-guitars. Lyrically, “Limbohead” recounts tales of deep-rooted neuroticism, a sort of colourful tapestry of an anxious reality, where doors are locked, in order to shut out the dangerous conspiracies of the world. But whilst the subject matter is serious, DOBBELTGJENGER are all about bringing back the groove and the fun to genres that sometimes take themselves a tad too seriously by using contagious grooves, a futuristic guitar sound, and soulful rock vocals that alternate between vulnerable falsettos, punkish screams and rhythmic narratives. With the tape version of JORDSJØ’s upcoming album “Jord” featuring in a number of “Best Of 2017” lists, Karisma Records is off to a flying start with its 2018 releases, as the ubiquitous Bergen-based label reveals details of the album’s more conventional format release. Replete with an underlying theme of alienation, belonging, and dreams, and following on from three cassette demos, “Jord” is considered by the band to be their first “proper” album. Whilst “Jord” makes use of flute, guitars and a vast array of vintage synths, and with a nod in the direction of 70’s Prog, Electronic and Folk, it is an album that takes on the warmth of its vintage sound, but emerges as something fresh and interesting. Consisting of founder and multi instrumentalist Håkon Oftung (TUSMORKE, BLACK MAGIC ) and drummer Kristian Frøland, JORDSJØ was formed in Oslo, Norway in the autumn of 2014. The duo draw their inspiration from old horror movies, German 70s Synth music, Swedish Prog, fantasy novels and Norwegian nature, and together they create a charismatic, folk-inspired Symphonic Rock that stands out amongst the legion of Prog Bands. Already hard at work preparing their next opus, “Jord”, will be followed by what the band calls “a kind of Intermezzo” titled “Nattfiolen” which will explore more deeply the mysticism that surrounds the forest. You may be curious as to what Futuristic Retro Rock actually is, and, if you are, then the answer will be revealed on the 2nd March 2018 when Karisma Records releases “Limbohead”, the second full length album from Norway’s DOBBELTGJENGER. Long-time fans of the band will, of course, know that DOBBELTGJENGER play music that is eclectic, and that they are all about bringing back the groove and the fun to genres that sometimes take themselves a tad too seriously. That’s not to say that DOBBELTGJENGER should not be taken seriously. Far from it. The lyrics of their new album tell tales of deep-rooted neuroticism, a sort of colourful depiction of an anxious reality, where doors are locked, in order to shut out the dangerous conspiracies of the world. But they do so using contagious grooves, a futuristic guitar sound, and soulful rock vocals that alternate between vulnerable falsettos, punkish screams and rhythmic narratives. Formed in Bergen in 2015, DOBBELTGJENGER field an experienced and skilled lineup of musicians that include Sondre Veland (MAJOR PARKINSON, OSSICLES) on drums, Jakob Sønnesyn (DEPRESNO, 9 GRADER NORD) on bass, Vegard Wikne (OCEAN OF LOTION) on guitars and vocals, and Knut Martin Rasmussen Langeland on guitar. With inspiration drawn from everything from astronauts lost in space to old video games, DOBBELTGJENGER’s debut album “When I’ve Gone to Space” was released in late 2016, and was heavily influenced by progressive rock and elements of jazz and psychedelia. With two critically acclaimed solo albums already to his name, AIRBAG co-founder, songwriter and lead guitarist BJORN RIIS will kick off 2018 in style with the release of a mini-album on Karisma Records in February. Titled “Coming Home”, the five-track album will include a newly recorded semi-acoustic version of the title track from Bjorn’s 2014 debut album “Lullabies in a Car Crash”, as well as a duet with the Norwegian singer SICHELLE. Bjorn’s interest in music started in his early teens, an era of guitar-led bands that preceded the emergence of the Progressive Rock movement, which, together with Electronica and Movie Scores, also served to influence him and lead him to develop a style filled with soaring leads and gorgeous textures. Today he has become a much-respected guitarist within the musical community, with his own blog which is followed by thousands of fans. Not unnaturally, therefore, guitar playing takes centre-stage on his releases, and “Coming Home” is no exception. As Bjorn explains: “I’ve always felt that the guitar is an extension of me and a more comfortable and natural way of expressing myself musically”. A regards the idea of including the track “Lullabies in a Car Crash”, which features AIRBAG and BJØRN RIIS BAND touring guitarist Ole Michael Bjørndal on lead guitar, Bjorn went on to explain: “Lullabies just fit right into the mood and theme of this album. It’s almost become a new song. It’s very honest and moving” . The front cover image for “Coming Home”, is from a collection titled “Sorrow” by the Norwegian photographer Kjetil Karlsen, who provided the much-lauded cover image for Bjorn’s second full-length album “Forever Comes to an End”. The design and layout is by Asle Tostrup. HIMMELLEMEME’s lineup of Aleksander Vormestrand on guitars and vocals, Hein Alexander Olson on lead guitar, Lauritz Isaksen on keyboards, Erik Alfredsen on bass, and Thord Nordli on drums, spent the past year exploring new sounds and putting the finishing touches to their new material, which was recorded during the fall and winter of 2016 at the Broen Studios in Bergen, and produced by Anders Bjelland (ELECTRIC EYE / HYPERTEXT). 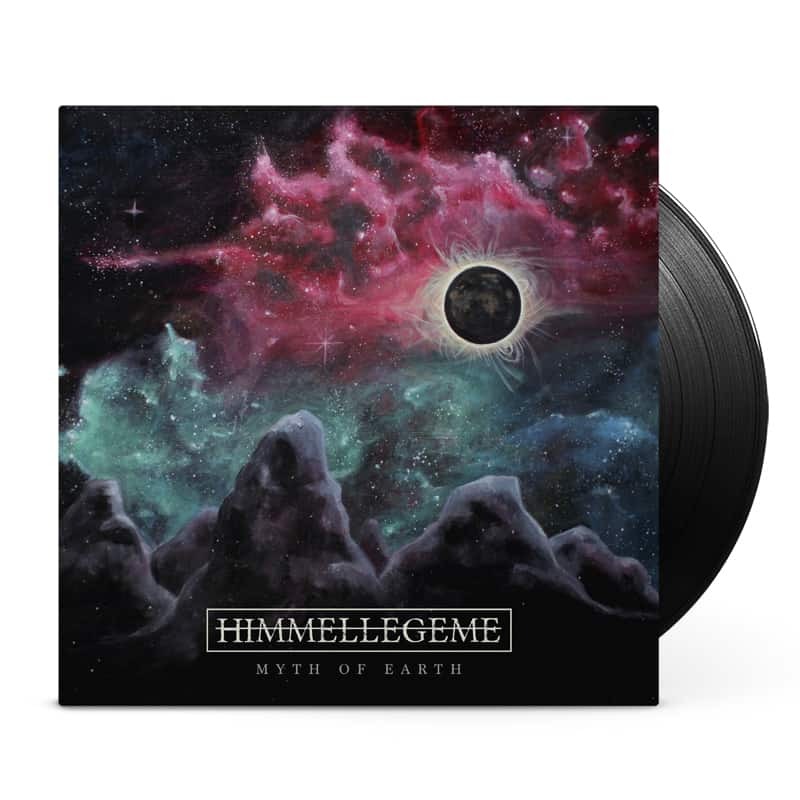 HIMMELLEGEME are set to appear at the Close to the Rain Bergen Prog Fest – Christmas Edition along with fellow Karisma Records label-mates WOBBLER on the 16th December at The Garage in Bergen. 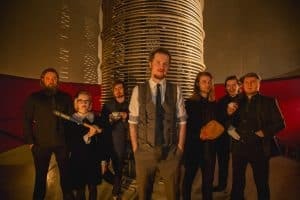 When a band releases an album filled with fairy tale characters and a generous helping of magic in its storyline, it’s reasonable to suppose that there will be enough material for a video, and, indeed, for the latest single taken from their new album “Bydyra”, TUSMØRKE have treated us to one such video. 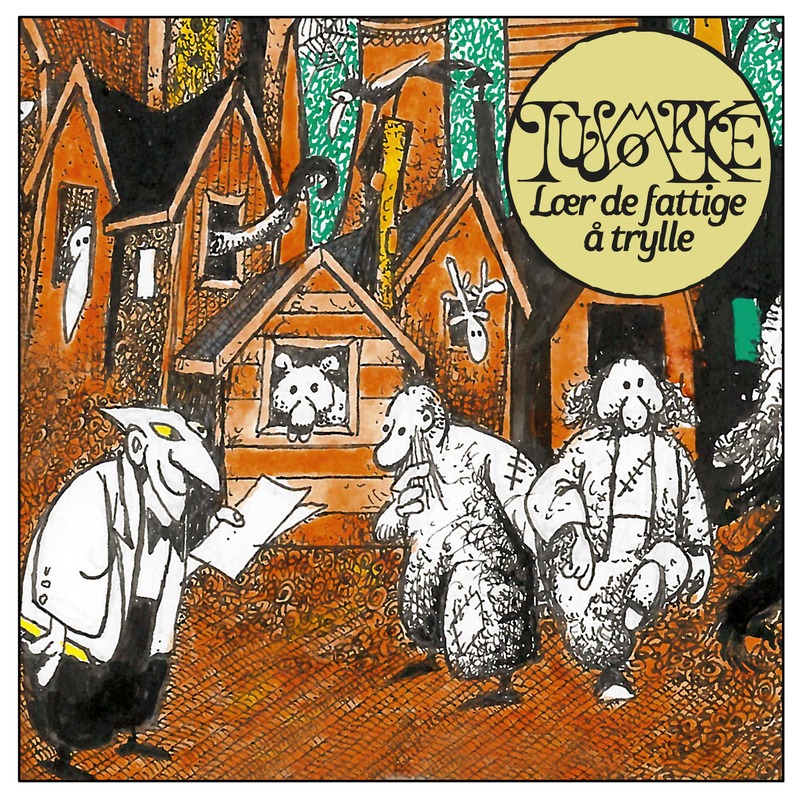 The single, “Lær de fattige å trylle” (Teach Magic to the Poor), is just one of the fifteen tracks on “Bydyra”, an album that consists of two original mini musicals, written specifically for a local children’s school in Oslo, with those same children also taking part. Whilst “Bydyra”, which translated means “Urban Wildlife”, is aimed at children, it is, nevertheless, appealing to adults as well, with its lyrical and musical exploration of relatively “grown up” themes such as urban wildlife, the skyrocketing prices of housing in Oslo, the financial crisis, social issues, global warming, and good and bad magic. TUSMØRKE’s members, drawn from bands such as WOBBLER, JORDSJØ and ALWANZATAR, field an almost dizzying variety of instruments, allowing the band develop its own unique take on Prog. Comprised of Benediktator on vocals, bass, acoustic guitars, Glockenspiel, jaw harp, assorted percussion and loads of handclaps, Krizla on vocals, flute and electronics, HlewagastiR on drums and percussion, Dauinghorn av Jordsjø on electric guitar, and The Phenomenon Marxo Solina on Steinway & Sons grand piano, MiniMoog model D, Solina Strings Ensemble, Mellotron M400, SCI Prophet-5, Arp Axxe, Arp Pro Soloist and Lindholm Spinet, TUSMØRKE is proving to be popular not only with their studio output, but also live on stage. When Norwgian Prog Folk Rockers TUSMØRKE announced that their fifth full-length album “Bydyra” would consist of two original mini musicals that were written specifically for a local children’s school in Oslo, and that children from the school would be taking part on the album, it certainly piqued the interest not only of the prog community, but also from music fans in general, who were interested in seeing what the result would be. 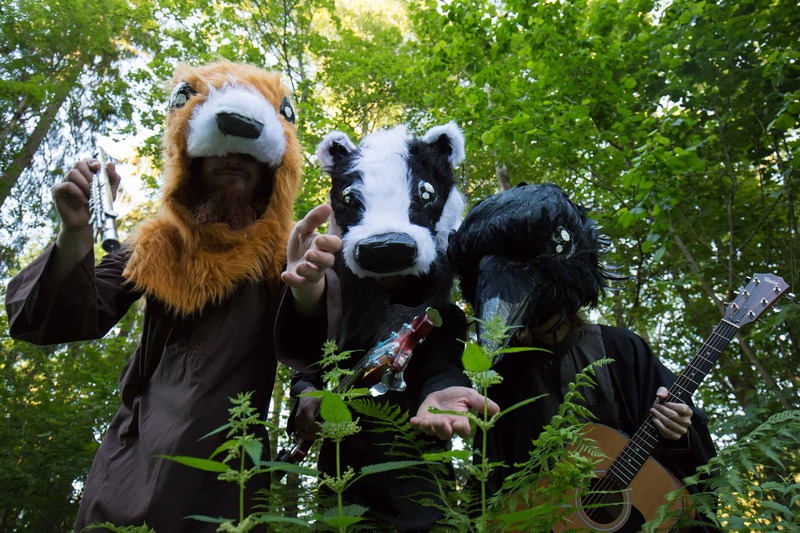 “Bydyra”, which translated means “Urban Wildlife”, is an album filled with enchantment as it follows the adventures of three magical creatures – a crow, a badger and a squirrel. But adult fans of TUSMØRKE need not be dismayed though, because it will also appeal to them with its lyrical and musical exploration of relatively “grown up” themes such as urban wildlife, the skyrocketing prices of housing in Oslo, the financial crisis, social issues, global warming, and good and bad magic. The four-track release comes in with a running time of 47 minutes, and, as Andreas Wettergreen Strømman Prestmo (Vocals and Guitars) says, the band is excited to give fans a glimpse into what they can expect from the new album, which has taken WOBBLER in the region of four to five years to complete. The band admits that they took their time in order to achieve what they consider to be their best album to date, and which sees a more introspective WOBBLER exploring darker themes. 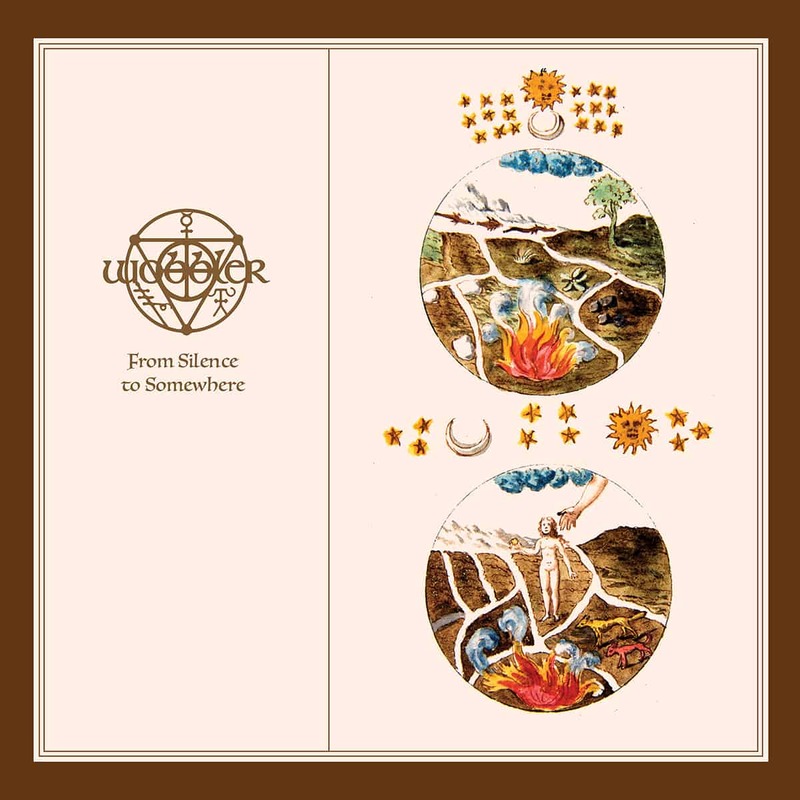 Having said that, “From Silence to Somewhere” nevertheless feels like a natural progression from the band’s previous release. Flamenco and Italian Renaissance music can be heard weaving their way subtly through the melancholy harmonies that are combined with powerful crescendos and high-energy, spinet-driven passages, whilst the guitar riffs range from the poignant to the edgy. 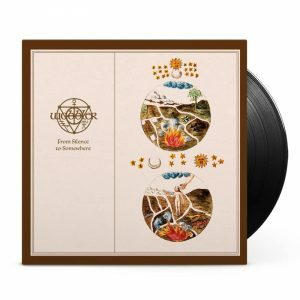 Fans of WOBBLER’s trademark sound have nothing to worry about though, with the band making good use of Mellotron, Moog, Hammond, Chamberlin and other classical analogue keyboards, and of course the renowned Rickenbacker Bass. Formed in Hønefoss in 1999, WOBBLER’s current lineup features current and former members of TUSMØRKE, WHITE WILLOW, THE CHRONICLES OF FATHER ROBIN and JAGA JAZZIST. With Lars Fredrik Frøislie on keyboards and backing vocals, Kristian Karl Hultgren on bass, bass clarinet and bass pedals, Martin Nordrum Kneppen on drums, percussion and recorder, Andreas Wettergreen Strømman Prestmo on vocals, guitar, glockenspiel and percussion, and Geir Marius Bergom Halleland on lead guitar and backing vocals. the band can avail itself of a considerable array of instruments that have a huge, and very interesting impact, on the overall sound. 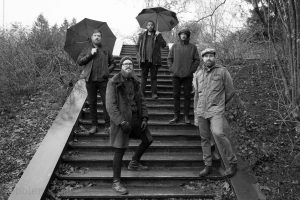 As some will already know, with “Bydyra” the Prog Folk Rockers have come up with something quite different, because this album has not only been written for children, there are also children performing on it. The title, which means “Urban Wildlife” gives an idea of the subject matter, which details the enchanting adventures of magical creatures that include a crow, a badger and a squirrel. 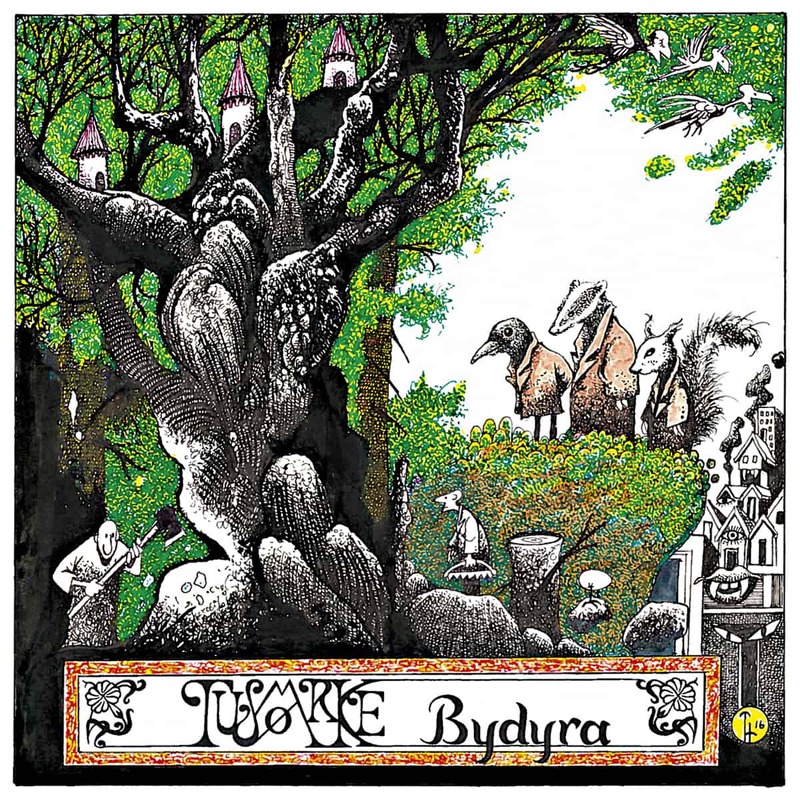 Whilst it is true that “Bydyra” is aimed at children, TUSMØRKE have used their unique take on Prog Rock, seasoned it with humour, and produced an album that will also appeal to adults in its exploration of “grown up” subjects such as urban wildlife, the skyrocketing prices of housing in Oslo, the financial crisis, social issues, global warming, and good and bad magic. Featuring members of WOBBLER, JORDSJØ and ALWANZATAR, TUSMØRKE’s lineup fields an almost dizzying variety of instruments, and is comprised of Benediktator on vocals, bass, acoustic guitars, Glockenspiel, jaw harp, assorted percussion and loads of handclaps, Krizla on vocals, flute and electronics, HlewagastiR on drums and percussion, Dauinghorn av Jordsjø on electric guitar, and The Phenomenon Marxo Solina on Steinway & Sons grand piano, MiniMoog model D, Solina Strings Ensemble, Mellotron M400, SCI Prophet-5, Arp Axxe, Arp Pro Soloist and Lindholm Spinet. Blackbox will be the fourth studio album from the cult prog phenomenon that is MAJOR PARKINSON, and will be available on Degaton Records in Norway and on Karisma Records in the rest of the world. Aside from the previously mentioned Linn Frøkedal, who, in fact, makes a guest appearance on four tracks in total, Blackbox also features several other guest artists who, together, add their unique talents to the overall sound of the album, which the band spent the better part of two years creating. Filled with frenetic horn sections, angelic strings, rusty hammers, paper planes and rocket ships, and under the guidance of sound maestro Yngve Leidulv Sætre, MAJOR PARKINSON’s lineup of Jon Ivar Kollbotn, Eivind Gammersvik, Lars C Bjørknes, Sondre Veland, Sondre Skollevoll, Øysten Bech-Eriksen and Claudia Cox, have come up with an uncompromising work, somewhere at the crossroads between progressive rock, cinematic pop, heavy industry and icy Arctic electronics. 1. Lover, Lower Me Down! With just over a month to go until the release of “From Silence to Somewhere”, the fourth full-length album from Norway’s leading Symphonic Prog band WOBBLER, Karisma Records have released a promo video which not only gives fans a taste of the music they can expect to hear, but also an insight into the band itself. It is a fascinating glimpse into the workings of a group of people who, as they have matured and grown together as individuals and as musicians, have quite considerably changed the way they write and make their music. And most noticeably it is an example of a close and enduring friendship amongst the members of WOBBLER that gives the individual musicians the confidence to change, and exchange, ideas in a way that often takes an original idea in a completely unexpected direction, without egos getting in the way, and having a lot of fun while they do it. “From Silence to Somewhere”, which is set for release on the 20th October, is comprised of four epic tracks that explore the idea of metamorphosis and alchemy. WOBBLER’s trademark sound, which makes use of copious amounts of Mellotron, Moog, Hammond, Chamberlin and other classical analogue keyboards, and of course the renowned Rickenbacker Bass, is very much in evidence. It is an album with a darker, more introspective edge than WOBBLER’s previous releases, but at the same time “From Silence to Somewhere” feels like a natural progression. Flamenco and Italian Renaissance music can be heard weaving their way subtly through the melancholy harmonies that are combined with powerful crescendos and high-energy, spinet-driven passages, whilst the guitar riffs range from the poignant to the edgy. Formed in Hønefoss in 1999, WOBBLER’s current lineup features current and former members of TUSMØRKE, WHITE WILLOW, THE CHRONICLES OF FATHER ROBIN and JAGA JAZZIST. With Lars Fredrik Frøislie on keyboards and backing vocals, Kristian Karl Hultgren on bass, bass clarinet and bass pedals, Martin Nordrum Kneppen on drums, percussion and recorder, Andreas Wettergreen Strømman Prestmo on vocals, guitar, glockenspiel and percussion, and Geir Marius Bergom Halleland on lead guitar and backing vocals, the band can avail itself of a considerable array of instruments that have a huge, and very interesting impact, on the overall sound. WOBBLER will be joining fellow Karisma Records band-mates TUSMØRKE and JORDSJØ at the Proggens Grøde, which will be held at the Kulturkirken Jakob in Oslo on the 29th September. 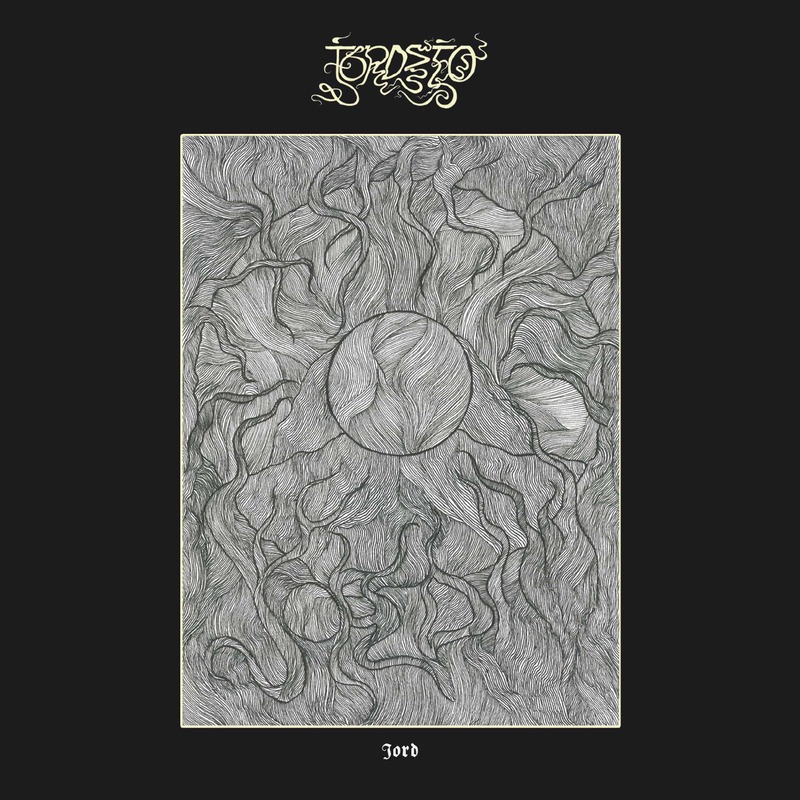 The folks at Karisma Records have surprised everyone by, almost literally, pulling a rabbit out of their hat with the upcoming release from their new signing, Prog Folk Rockers TUSMØRKE, whose new album is very different indeed in both concept and guest artists. Titled “Bydyra”, which translated means “Urban Wildlife”, this will be the fifth full-length album from the Norwegians. What is surprising about it is that this is the first album that TUSMØRKE have written specifically for, and performed with, children. Coming in with a whopping 15 tracks, “Bydyra” is composed of two original mini musicals that were written specifically for a local children’s school in Oslo. It is a unique work that explores the relatively “grown up” subjects of urban wildlife, the skyrocketing prices of housing in Oslo, the financial crisis, social issues, global warming, and good and bad magic. With “Bydyra” TUSMØRKE have succeeded in blending their unique take on Prog Rock with a substantial dose of humour to create an album that will be enjoyed equally by both children, who will be enchanted by the characters and their adventures, and by adults, who will succumb to the psychedelic prog folk overtones. It is a journey filled with magical creatures that serve to charm and educate at the same time. TUSMØRKE will be appearing at Proggens Grøde at the Kulturkirken Jakob in Oslo along with Karisma Records label-mates WOBBLER and JORDSJØ on the 29th September, and at the Dødes Helg event which will be held at the Aye Aye Club / Tortuga in Oslo from the 3 – 5 November. 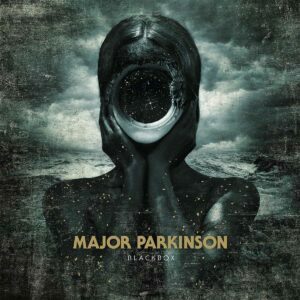 The album Blackbox will be the fourth studio album from the outlandish prog phenomenon that is MAJOR PARKINSON. Set for release on the 27th of October of this year, and available on Degaton Records in Norway and Karisma Records in the rest of the world, the band spent the better part of two years creating Blackbox. Recorded partly in the legendary Duper Studio, and partly in MAJOR PARKINSON’s own dungeon – Degaton Studio, Blackbox is an uncompromising work, somewhere at the crossroads between progressive rock, cinematic pop, heavy industry and icy Arctic electronics. With Linn Frøkedal (MISTY COAST, LOW FREQUENCY IN STEREO) contributing her haunting vocals on no less than four tracks, she is joined by a a plethora of guest musicians who have all added their unique talents to further elevate the Blackbox experience. In the able hands of sound maestro Yngve Leidulv Sætre, Blackbox is an album filled with frenetic horn sections, angelic strings, rusty hammers, paper planes and rocket ships. According to MAJOR PARKINSON, Blackbox is an unparalleled journey through cinematic, progressive soundscapes and otherworldly melodies which have been forged in stainless dark matter and filled to the brim with musical excess. It is a treasure chest pulled patiently from the ocean floor, through shoals of curious starfish. It’s a night ride through a snowy and moonlit mountain pass, under the pale flicker of oddly shaped constellations! Norway’s leading Symphonic Prog band WOBBLER have inked a deal with Karisma Records and are set to release their fourth full-length album, “From Silence to Somewhere” on the 20th October. “From Silence to Somewhere” offers up a sound that is enigmatic, multi-flavoured and adventurous, with the use of copious amounts of Mellotron, Moog, Hammond, Chamberlin and other classical analogue keyboards, and of course the renowned Rickenbacker Bass . The guitar riffs go from poignant to edgy. Melancholy harmonies combine with powerful crescendos and high-energy, spinet-driven passages, flavoured with a touch of Flamenco and Italian Renaissance music to produce and album comprising four epic tracks that explore the idea of metamorphosis and alchemy. It is a natural continuation from WOBBLER’s previous albums, but with a darker, more introspective edge. 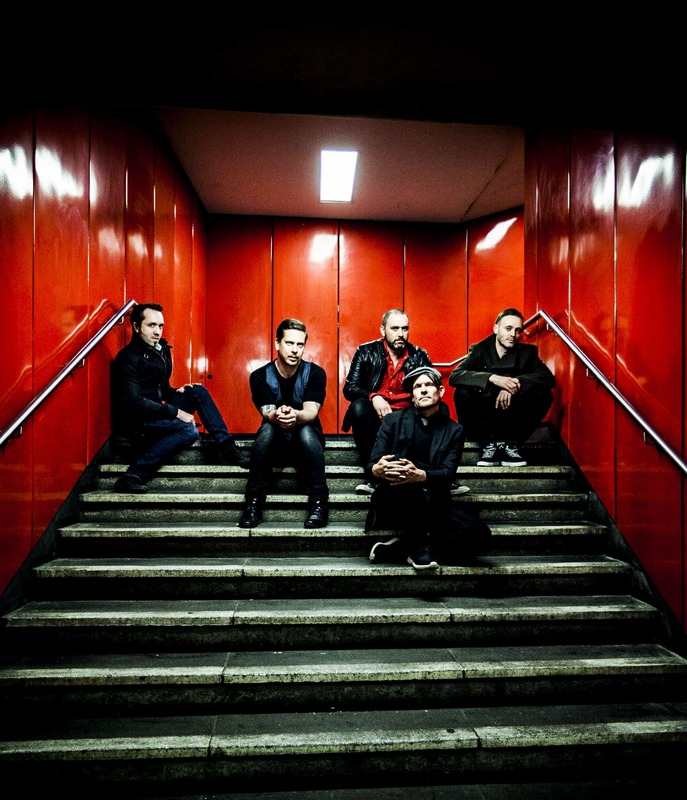 Rubato Industry – Live at Musikkflekken 21.02.2015. (NB! RAW CUT / CAMERA MICHROPHONE AUDIO) from Wobbler on Vimeo.